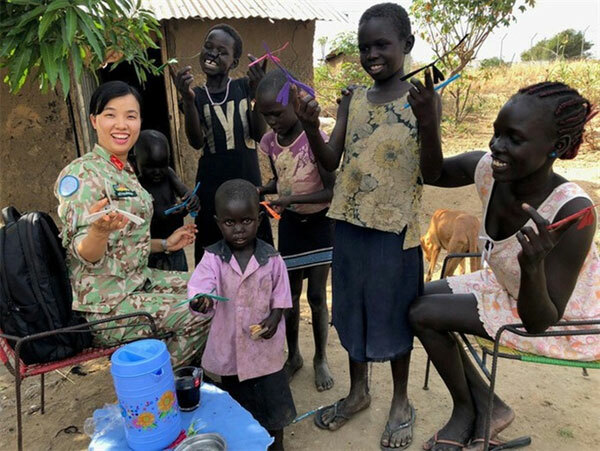 VietNamNet Bridge – Returning home from South Sudan after a year-long UN peacekeeping mission, Major Do Thi Hang Nga brought back a wealth of experience and memories to last a lifetime. 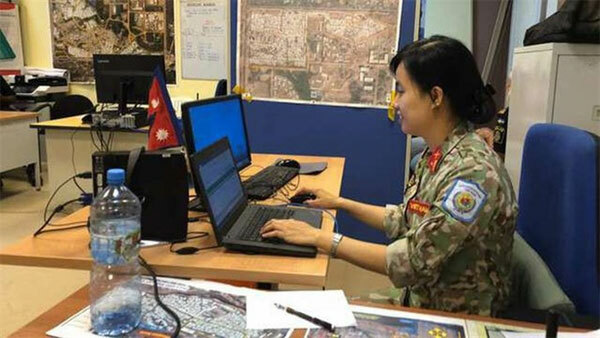 Nga was dispatched to the African country to work as a staff officer overseeing military operations in late 2017 and became the first female officer from Vietnam to join the peacekeeping mission. A year in South Sudan was “the most valuable time of her service” as she learned new military rules and improved her language skills. Before starting the journey, Nga spent two years training in Sri Lanka, China, the Netherlands and the Republic of Korea. “Without the peacekeeping mission I would have never experienced valuable lessons and witnessed the hardship of local people,” she said. “The difficulties I witnessed were far different from what I imagined before embarking on the task,” she said. Her typical working day lasted 16 hours from 4pm until 8am the next morning. She and her colleagues had no time to relax. She said: “When the conflicts peaked, we had to stay at the office for the whole week and only went home to change clothes or take more food to the office." After dealing with the tasks, Major Nga and her colleagues had to report problems they received to other units, sometimes call for urgent meetings and stay at the office late to complete reports after finishing a long shift. 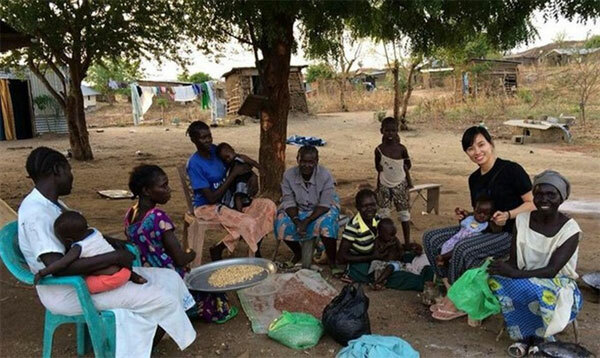 “In spite of the hardship and pressure, I am grateful to the time in South Sudan for helping myself grow up,” she said. Any free time she got, Nga would visit areas to learn about local life because Vietnamese military officers uphold the tradition of staying close to the people. It helped her fight homesickness as well. Seeing mothers let their children with high fever stay under the sun and children with deep cuts on the skin being unattended without medicine, Nga thought she must do something to help. She and her colleagues taught children personal hygiene and shared with mothers how to take care of their children. “Everyone welcomed me like a family member,” she said. “We stayed more and more closely-knit with each other. The warm affection inspired me to spend more time with them. “When I was back in Vietnam for a while, some children even borrowed my friend’s phone to call me saying they missed me a lot and looked forward to my return. “When I was about to finish the mission, local children drew pictures and crocheted tiny bags for me as presents,” she said. Sending a female officer on a peacekeeping mission overseas marked a new point in Vietnam’s traditional friendship with African countries and demonstrated the external policy of treasuring peace and collaboration for development, said Vu Anh Quang, head of international organisation department of foreign affairs ministry. Major Nga is one of two Vietnamese officers to receive extremely excellent evaluation from the UN for her completing her mission. According to the national defence ministry’s Department of Peacekeeping Operations, since 2014, Vietnam has deployed 29 officers to South Sudan and the Central African Republic. In October last year, Vietnam deployed its first level-two field hospital contingent with 63 officers and doctors to the UN Mission in South Sudan. According to the Department of Peacekeeping Operations, Vietnam intends to increase its involvement in UN Peacekeeping Operations in non-combat fields including engineering, construction, logistics, de-mining and medicine. By 2020, the country will dispatch a peacekeeping military engineering unit.